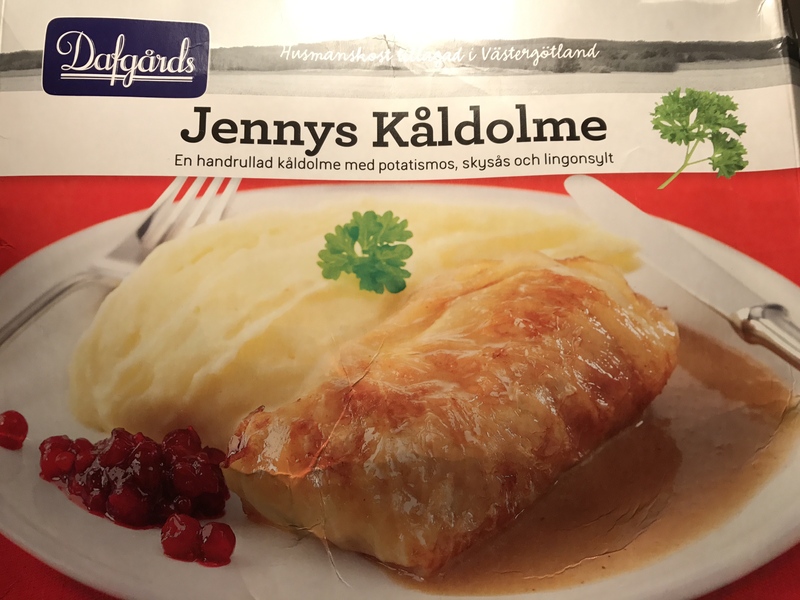 Olivia in Sweden: Screaming and Food! I’m a little biased but I’m pretty sure I live in the best student residential area in all of Uppsala University. The Flogsta Scream occurs every evening at 10 p.m. sharp. Students open their windows and scream out into the night. Simple, right? The tradition goes back decades! Though I haven’t measured the decibels, I think the loudest screams occur on Sunday nights. In addition to traditions, I have made some wonderful friends in Flogsta. In the Flogsta residential area there are several apartments. The apartment I live in has 7 floors. Each floor has two corridors on opposing sides. Each corridor has one kitchen shared by approximately 12 people. I share a floor with native Swedes and other international students hailing from Brazil, Australia, the Netherlands, Japan, Canada, and USA. Swedes really love cabbage. I tried a stuffed cabbage roll, which proved to be very savory. It’s also been confirmed by some Swedish friends that they like to put bananas in almost anything. It can be found on pizza or mixed with some rice and chicken. I had the latter, which made my dinner subtly sweet. 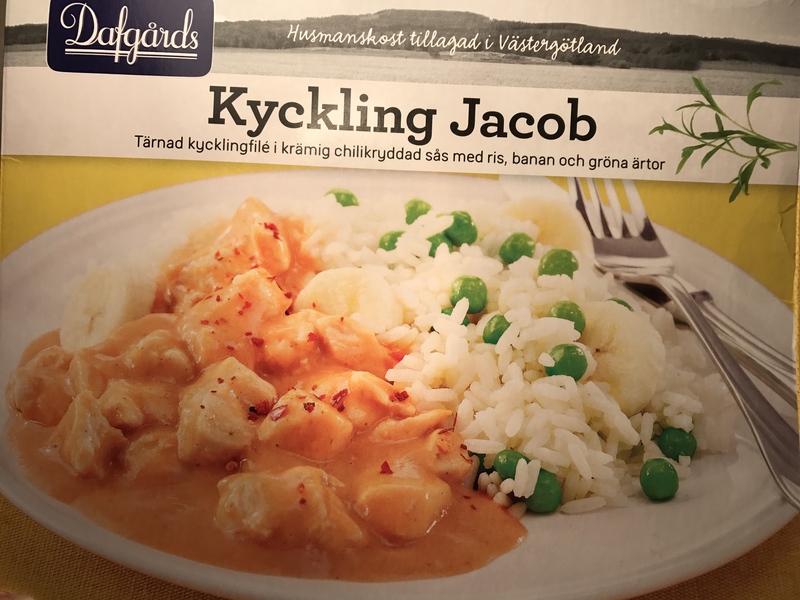 As I’ve been introduced to food from Sweden, I’ve also been introduced to food from other areas of the world. 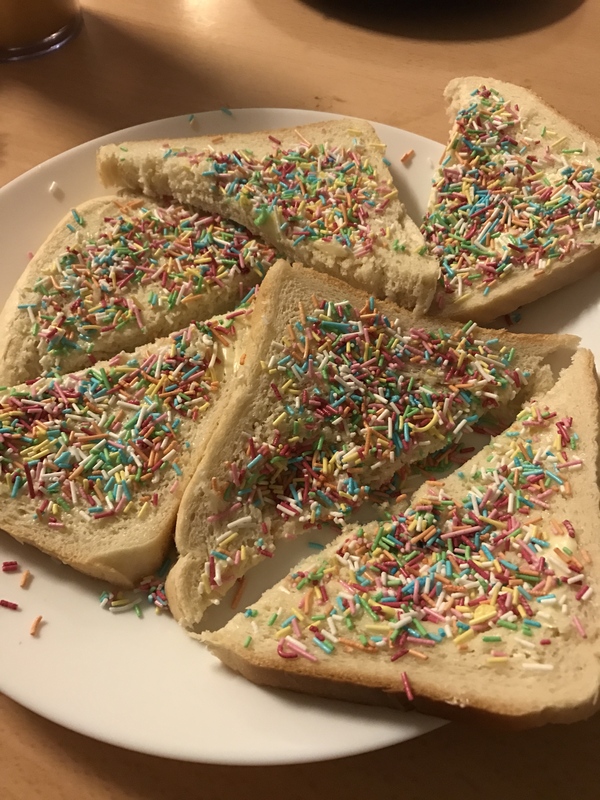 Here is some fairy bread, which is sliced white bread spread with butter and covered with sprinkles. Apparently, it has to be cut into triangles and the Australians are quite proud of this delicacy! 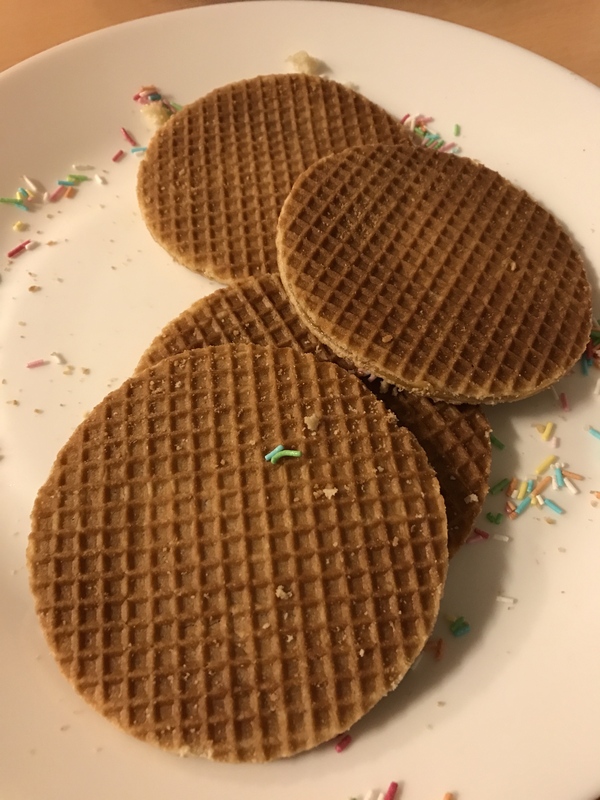 This is a Dutch Stroopwafel. It tastes best when placed in a microwave for 2 seconds! This lets the caramel inside melt. It was heavenly! 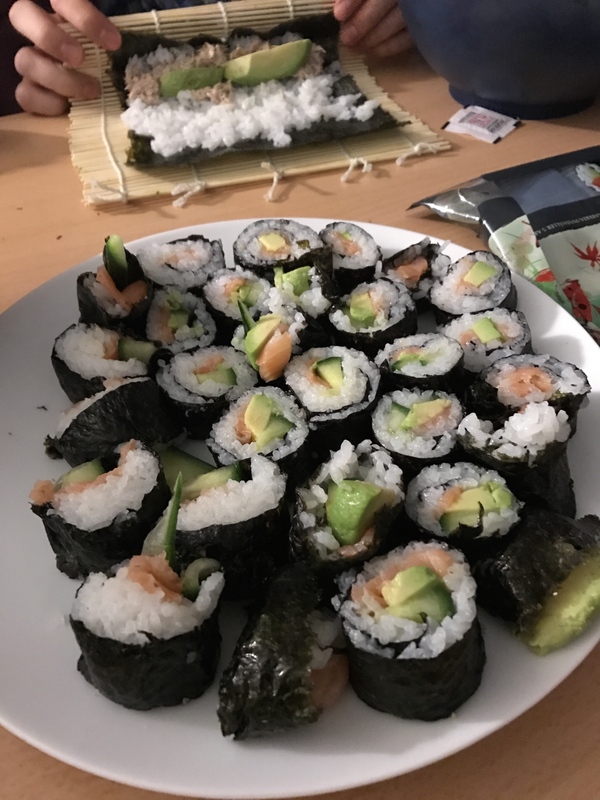 We also had a sushi night on Sunday hosted by my Japanese friend. I got to roll Sushi for the first time in my life! We were all proud of our handiwork. It’s nice to know that wherever you go, you can discover other cultures! This entry was posted on Friday, February 3rd, 2017 at 10:03 am and is filed under Olivia in Sweden, Spring 2017. You can follow any responses to this entry through the RSS 2.0 feed. You can leave a response, or trackback from your own site.